First, it’s been a while since I’ve last posted. I’ve been working on a huge project which I’ll show you when it’s done. 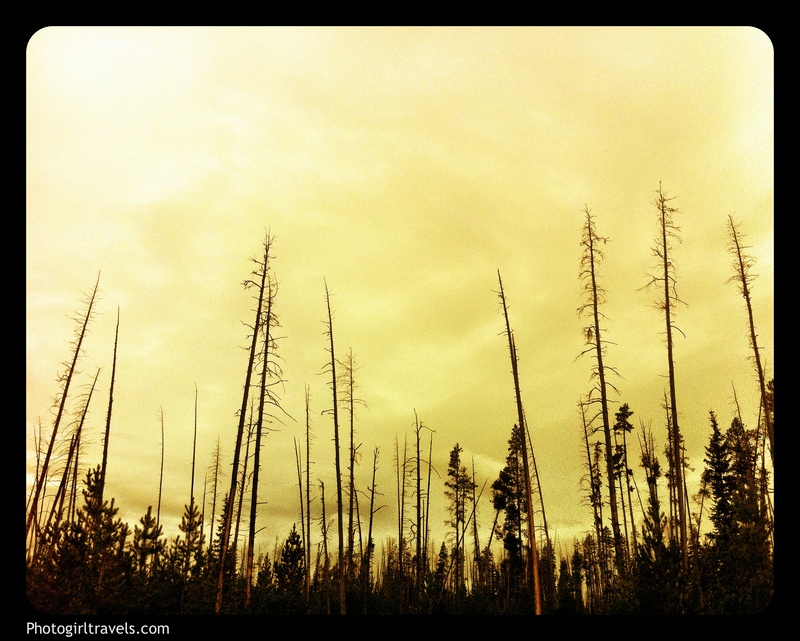 In the meantime I wanted to take you Yellowstone National Park and a visit to Old Faithful. 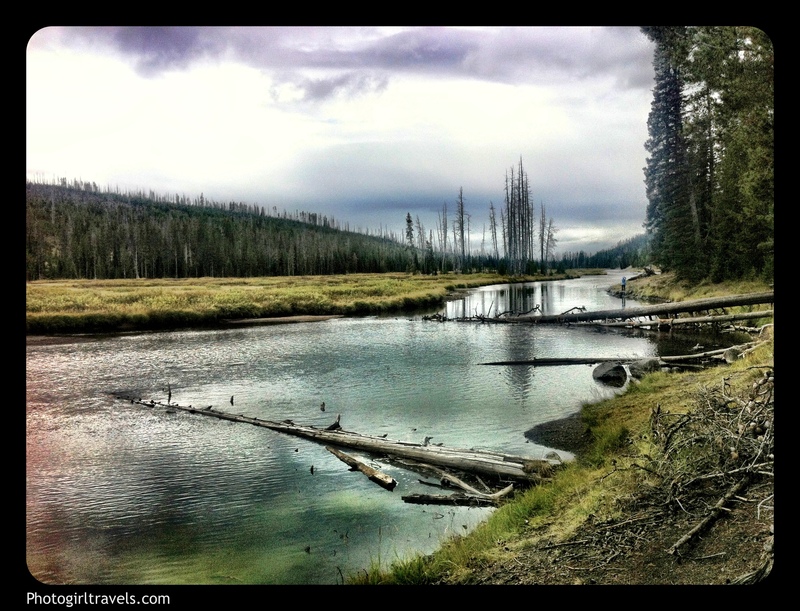 I did an impromptu trip to Jackson Hole about a month ago which is a place I have always wanted to visit. 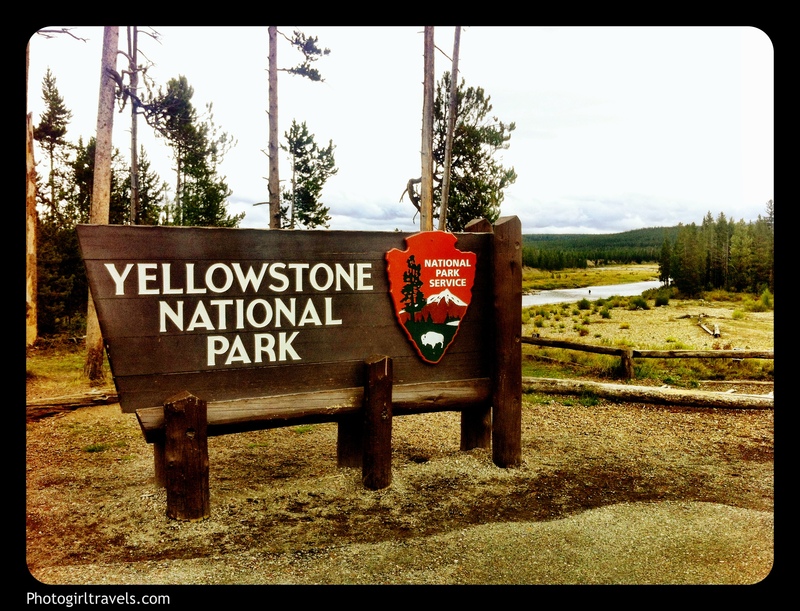 After making the drive to Jackson Hole, I stayed a few days during which time I toured the Grand Teton National Park. 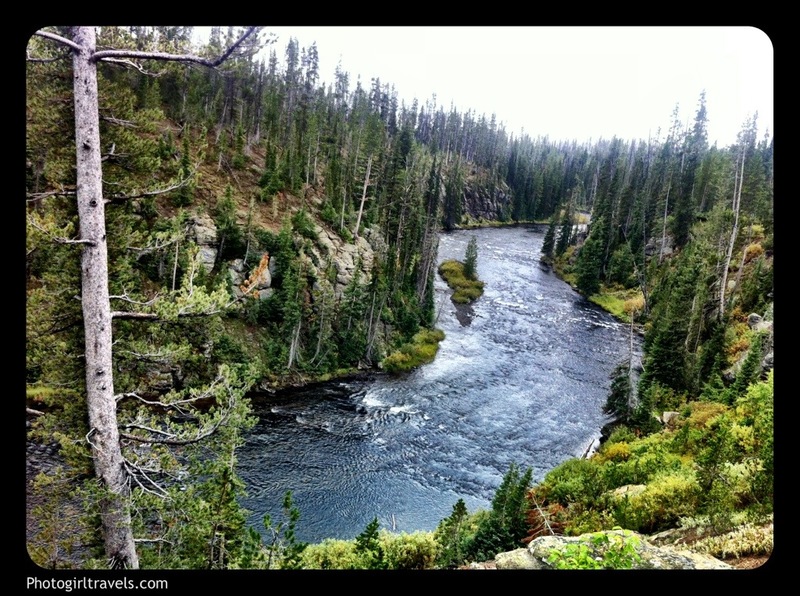 (Check out my Wyoming link over to the right for those posts) With one day to go before I flew home, I decided to hoof it up to Yellowstone National park. It was FREEZING that day and raining but I have to admit – there is nothing better than photographing in the rain or fog. Always my favorite. I remembered going to Yellowstone as a child and my fondest memory was of Old Faithful, so that was my ultimate designation that day. After I stopped at the park sign (a must have photo) I drove along a two way row behind a lot of other cars…all of us stopping and photographing along the way. Eruptions can shoot 3,700 to 8,400 US gallons of boiling water. Shoots water at a height of 106 to 185 feet. Erupts every 60 minutes to 2 hours. Eruptions last 1.5 to 5 minutes. 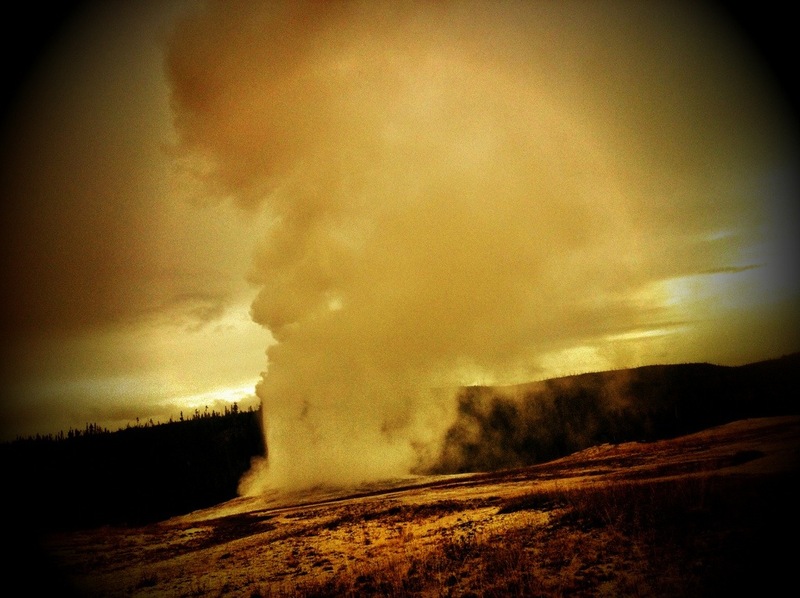 The lowest recorded sighting was 72 feet deep into the geyser. Temperature measurements of the water at 72ft depth was 244 °F. 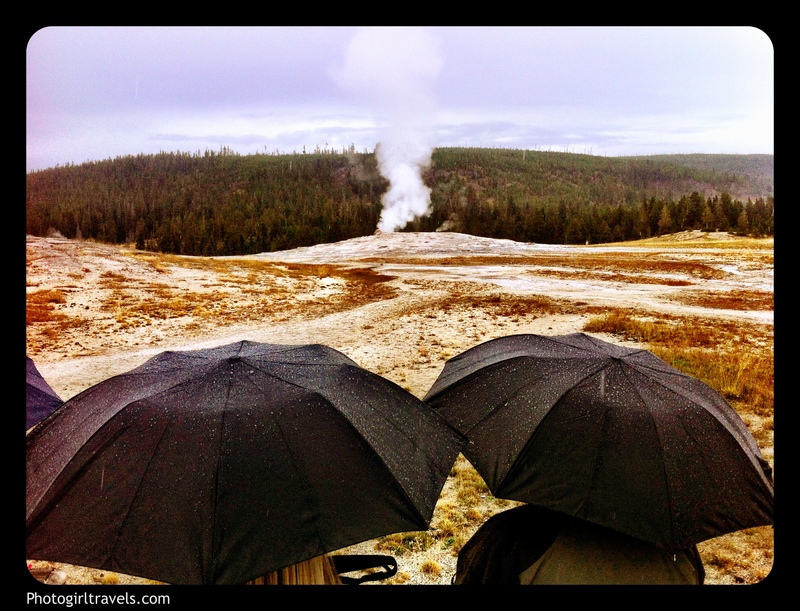 Old Faithful is not the tallest or largest geyser, but it is the most popular. Most popular because of its high frequency of eruptions. Tallest height of an eruption has been recorded at 185 feet. Nearly 140,000 eruptions have been officially recorded. 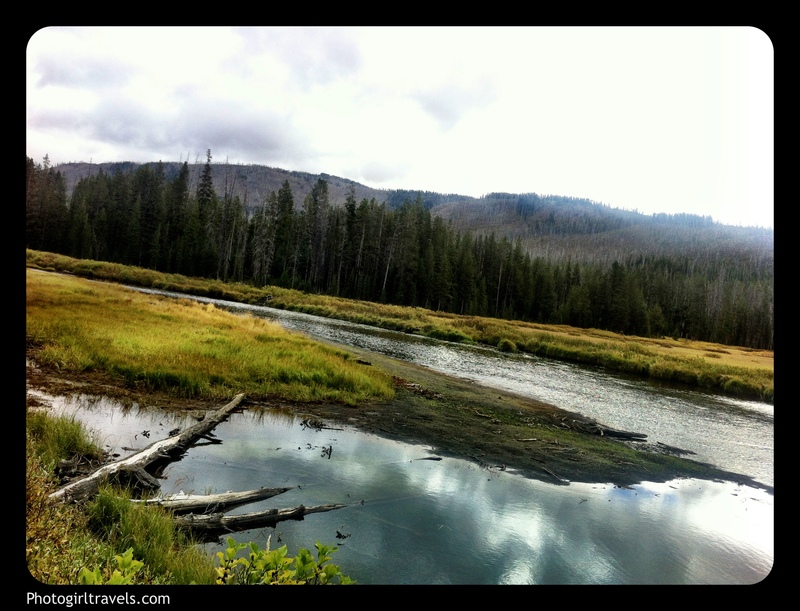 Categories: Wyoming | Tags: backroads, Cunningham cabin, grand Tetons, Jackson hole, Jackson Hole - Mormon Row and the Moulton Barn, Location of Moultan barn, Mormon Row, Mormon Row Holdouts, national parks, old faithful, Photographing in the Teton National Park, photography, resort, road trip, Salt Lake City, where to find the Jackson Hole - Mormon Row and the Moulton Barn, Wyoming, Yellowstone park | Permalink.